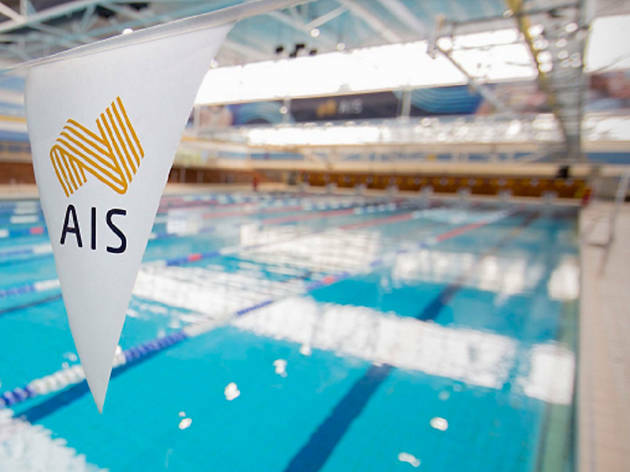 In addition to training Australia’s top athletes, the Australian Institute of Sport entertains visitors with guided tours and events across its 65 hectare campus. Tours of the facility last approximately 90 minutes. Swim alongside champions in the Aquatic Centre’s 50m and 25m pools. Lanes are generally available, but checking the timetable online would be useful before planning a visit. 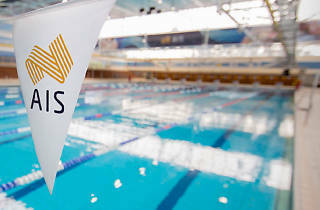 Classes for all ages and fitness levels are available at the AIS Swim School. Stop by next door for a workout or yoga class in the Fitness Centre. A drop-in visit will cost $20. The Track and Field Centre is open to the public – visitors can run on the synthetic track for $5. Multiple arenas and theatres make up the venue, many of which can be rented for conferences, galas, graduations or even weddings. Lunch like the pros at the AIS dining hall, or grab a quick lunch at GG Espresso. After your visit, stock up on workout apparel, or grab a souvenir at the AIS Shop in the Sports Visitors Centre in the middle of campus. Aquatic Centre: Mon-Fri 6.15am-9.50pm; Sat, Sun 6.15am-7.50pm. Fitness Centre: Mon, Wed, Fri 6.15am-8pm; Tue, Thu 6.15am-9pm; Sat, Sun 8.15am-3.30pm. Track and Field Centre: Mon-Fri 3.30-7pm; Sat, Sun 8am-1pm.